First Insight recently surveyed consumers and senior retail executives to compare their perceptions of consumer shopping habits, purchase behavior and influences driving decisions. 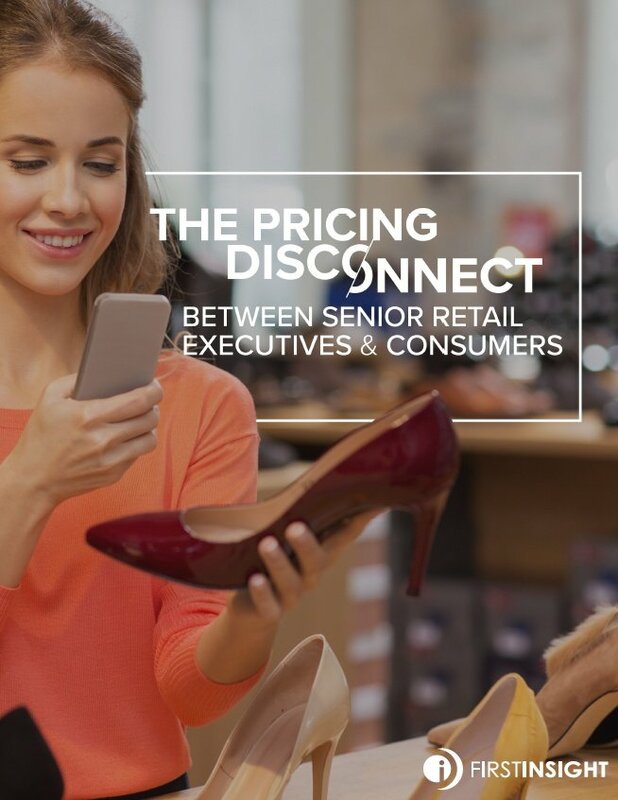 Results identified a significant perception gap among senior retail leaders when it comes to the impact of pricing on purchase decisions by consumers. Senior retail leaders and consumers are aligned on the importance of quality in purchase decisions. 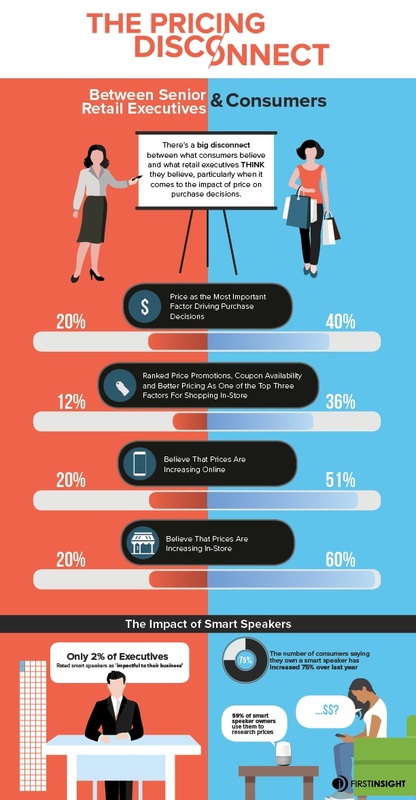 However, while business leaders ranked pricing on par with convenience, consumers ranked it as the second most important factor by a wide margin, and significantly more important than convenience. Senior retail executives are not aligned with consumers on whether prices have been increasing or decreasing online and in-store. Most consumers believe prices have been increasing in both places. Only one out of five senior retail leaders feel the same way. Senior retail executives are overlooking the pace of consumer adoption of smart speakers and how it is impacting their research on pricing. Not only are consumers continuing to purchase smart speakers, a much higher percentage are using them to research prices than in December of 2017. In-store discounts, promotions and coupons are among the top three most important factors driving consumers in-store to make purchases. However, retail executives ranked them almost last in importance when asked. Consumer frequency of purchases online is lower than retail executives project, however, more consumers are making purchases online than a year ago. Voice of the Customer Analytics and Predictive Analytics were cited as the most transformative technologies by executives, who likewise plan to invest in these technologies in the next year. Despite increasing numbers of consumers shopping online, consumers are still shopping more in-store. To get the full report, fill out the form below. Greg Petro, CEO and Founder of First Insight presents at the WWD CEO Summit, highlighting the findings of a First Insight report on price elasticity across major product categories.